Bright colours make for happy eating and that's exactly how I feel about this bowl full of goodness. 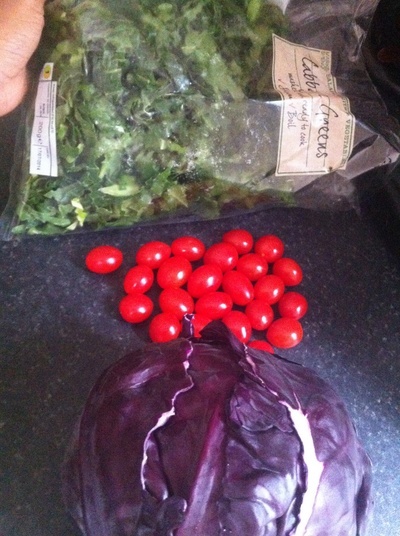 The bright green, purple, red and burgundy colours makes this salad a real eye catcher for salad-shy kids. The fruits and veg are also rich in beta-carotene, vitamin K and are naturally full of fibre. 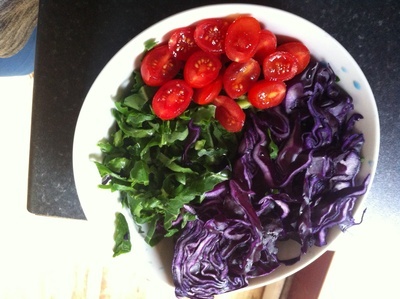 Here's to a rainbow salad, with a rainbow of health benefits too! 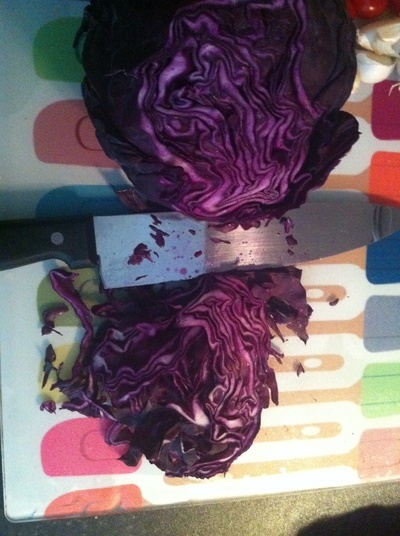 Slice the cabbage into fine pieces. 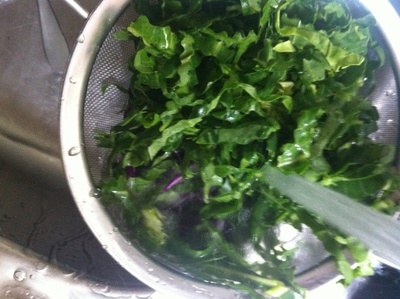 Place both types of cabbage leaves in a sieve and wash thoroughly. 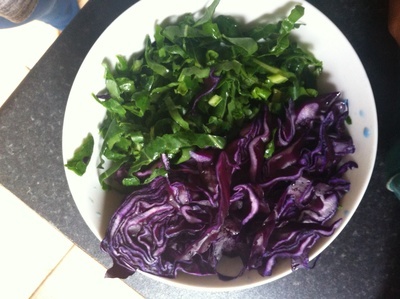 Place the green and purple cabbage leaves in a bowl. Slice the tomatoes in half. 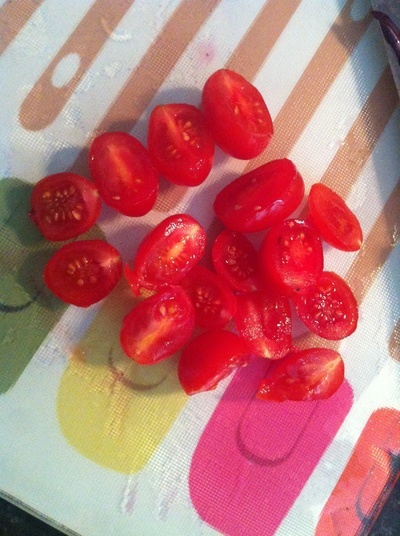 Add the tomatoes to the bowl..
Slice the cherries in half and add to the bowl. Slice the grapefruit into quarters and place in a bowl. Add the black pepper, oil and rosemary, combine to form a dressing. Pour over the salad bowl.